Neeharika Srivastava (“Neeharika”) comes with over 9 years of experience in customer-facing roles. Through her career, Neeharika has driven initiatives to improve customer satisfaction and problem solving and has been a custodian of the customer’s interest. Prior to GenY Labs, Neeharika worked for Microsoft and TCS. 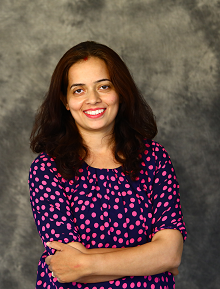 Neeharika leads customer success initiatives at GenY Labs. Neeharika takes her fitness goals rather seriously. She is a regular runner and loves to go for cycling trips.